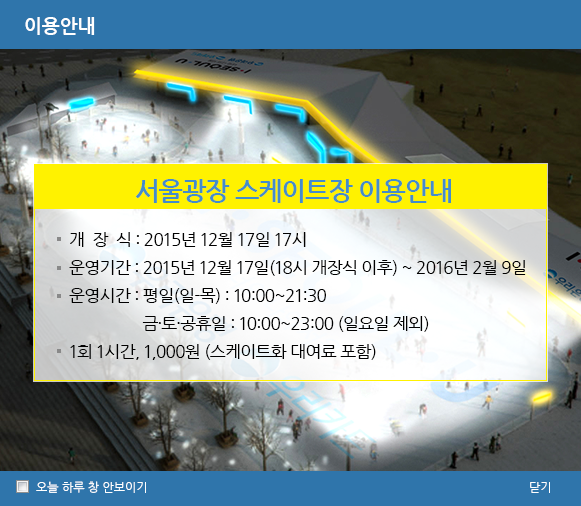 The Seoul Square Ice Skating Rink is scheduled to run from December 17th, 2015 through February 9th, 2016. 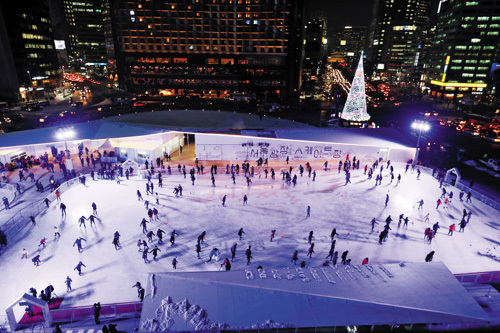 Visitors could be able to rent a pair of skates and enjoy their ice skating for one hour. 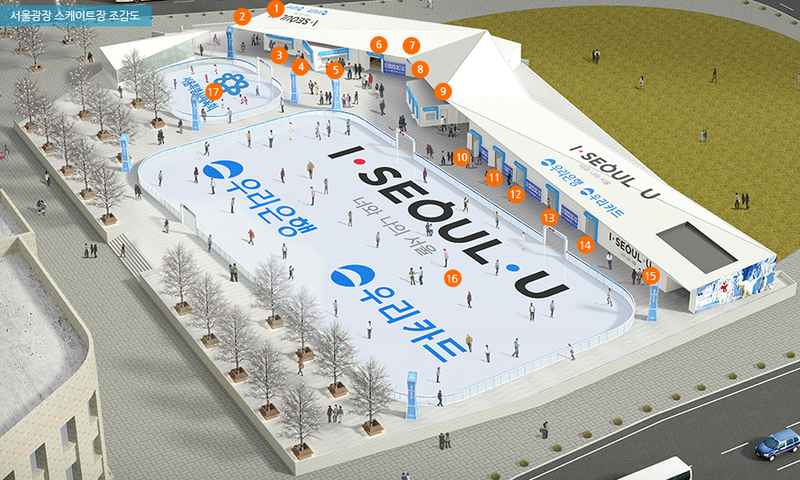 ※Skate time is one hour. And ice cleaning for 30 minutes between each session. [Metro] 1) City Hall Station (Subway Line 1, 2), Exit 5. *You have to reserve the tutorial class 7 days earlier than planned date you want to go. *If you need to cancel the schedule, ensure that you cancel it 2 days before the planned date and then you could get the refund. 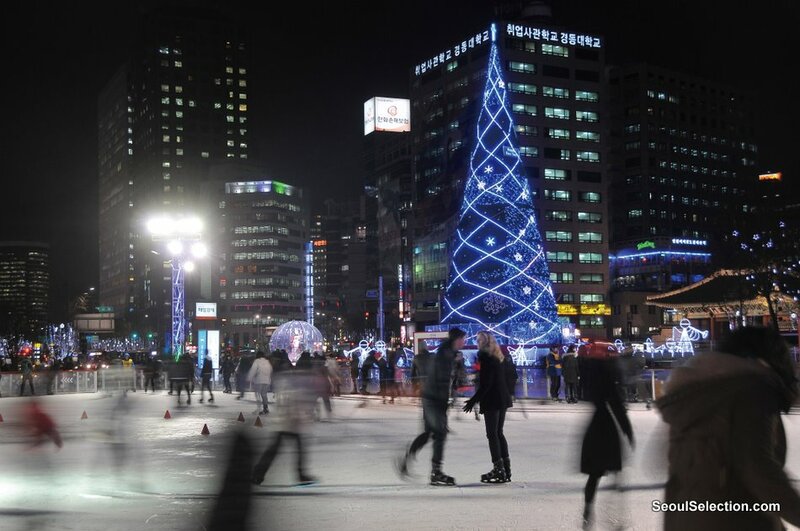 This entry was posted in Spot and tagged Cityhall, december, ice skating, Korea, Seoul, Seoul City, skating, tourism, tourist, ‪‎travel, winter.